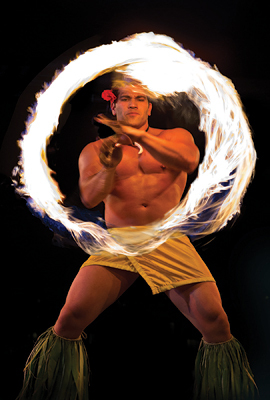 Our honeymoon in paradise promises us an unforgettable experience with the Waikiki Starlight Luau located at Hilton Hawaiian Village. We will discover the colorful heritage of the Pacific Islands and join the excitement of celebration with live music, drums and the drama of traditional Hawaiian, Tahitian and Samoan dance. A feast of tropical flavors with traditional island ingredients await us, including Kalua Pig, Island Fish, Huli Huli Chicken, Sweet Potatoes and Hawaiian Fried Rice. Thanks to your lovely wedding gift, we will immerse ourselves in the truly unique island experience of a Hawaiian luau! 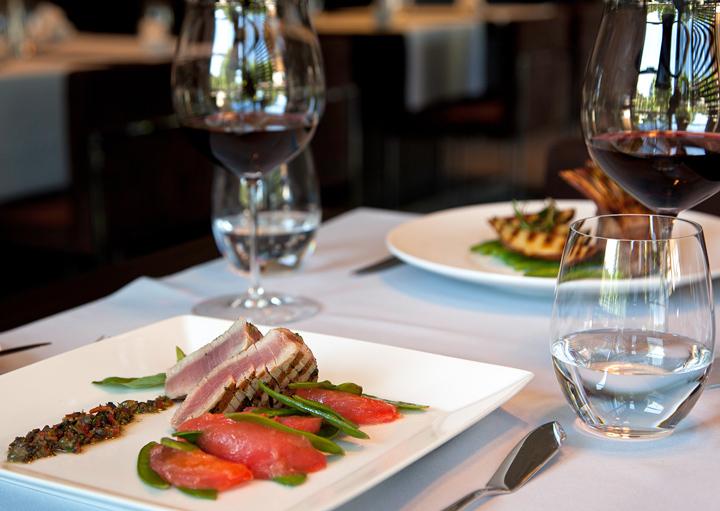 Bali Steak & Seafood offers one of the finest Oceanside dining experiences in the Islands. 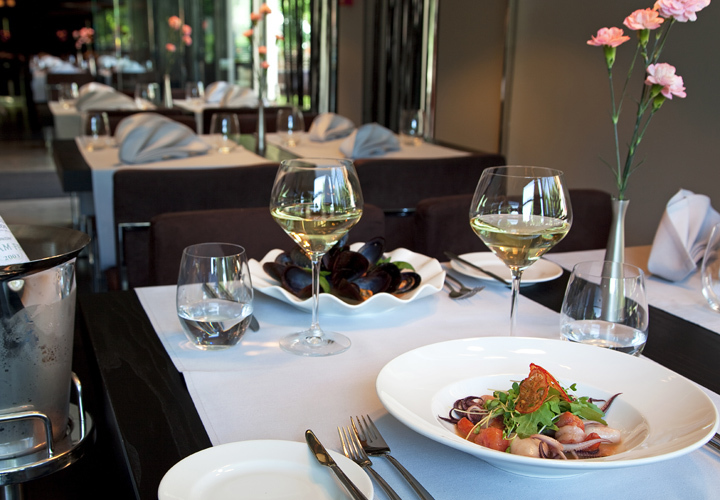 We will savor USDA prime meats and seafood in the open-air dining room, offering stunning views of Waikiki Beach. Featuring fine dining in a refreshingly relaxed atmosphere, we will enjoy culinary creations in a setting caressed by gentle breezes with sounds of the ocean just steps away. As we dine in a relaxed setting at Rainbow Lanai, we will look out over the clear blue waters of Waikiki. This beautiful, casual dining restaurant is perfect for a leisurely breakfast and is a great spot for breakfast. Rainbow Lanai offers a bountiful breakfast buffet daily. We will sit back, relax and enjoy the laid-back charms of paradise as we sip on our favorite cocktails in one of four fabulous lounges. 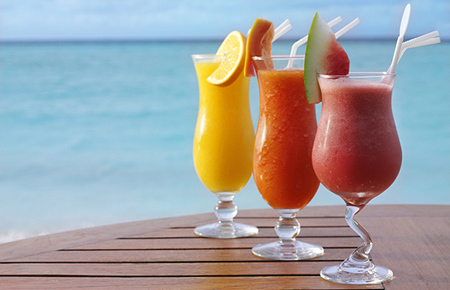 At the Hau Tree Bar and Tropics Bar & Grill we will be right on the beach watching the sunset. 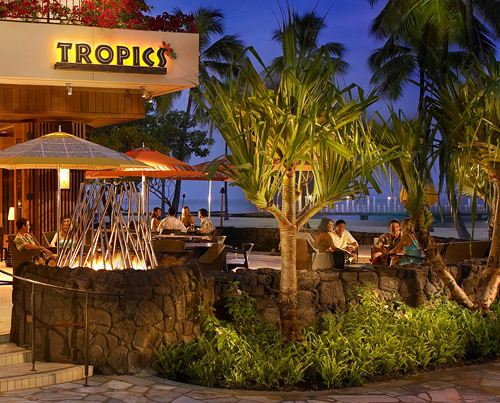 We will listen to live entertainment at the Tapa Bar, Tropics Bar & Grill and Paradise Lounge and enjoy the sites and sounds of Waikiki. On our honeymoon at Hilton Hawaiian Village Waikiki Beach Resort, we will shop around to bring a piece of paradise home with us. We will browse around the eclectic boutiques and shops throughout the resort in search of honeymoon keepsakes. From beautiful pieces of artwork, stylish accessories, apparel and jewelry, to locally made products and souvenirs, we will find just what we wanted and cherish these treasures in the many years to come! 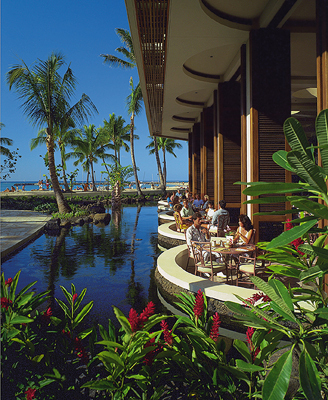 Hilton Hawaiian Village Waikiki Beach Resort promises us a honeymoon just as alluring as the Hawaiian Islands. Located on Waikiki’s widest stretch of beach on the island of Oahu, this oceanfront resort invites us to luxuriate in a full range of amenities, exceptional dining experiences, soothing spa rituals, and more. 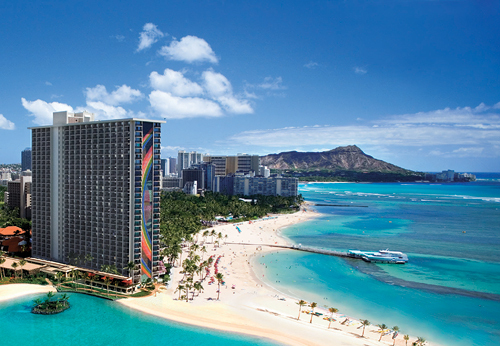 Hilton Hawaiian Village Waikiki Beach Resort promises us a honeymoon escape drenched in the spirit of Aloha. This impressive property is nestled on 22 oceanfront acres offering the best Waikiki resort experience for our honeymoon. Featuring lush tropical gardens, waterfalls, exotic wildlife and priceless artwork, Hilton Hawaiian Village Waikiki Beach Resort boasts luxurious accommodations, over 18 restaurants and lounges, shopping, endless activities, sparkling blue pools, a wide stretch of beach and more. With your generous wedding gift, we will explore the tropical enchantment of Hilton Hawaiian Village. 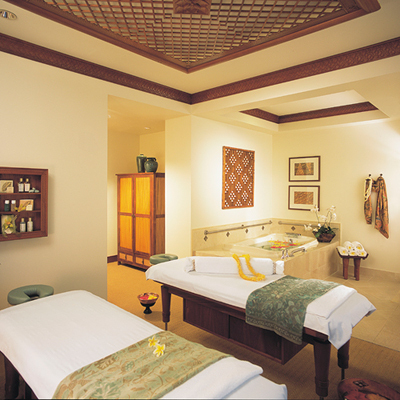 On our romantic honeymoon we will discover the special indulgence of the Hawaiian Lomi Lomi Couples Massage. While lying side by side, we will take delight in a relaxing 50 minute Lomi Lomi massage that will soothe the mind, body and soul. Our tranquil spa experience will end with a private hydrotherapy tub soak for 25 minutes.